Nothing catches a burglar off guard like being prepared. In this article, we will be going over some products and Do It Yourself ways to create unexpected and hidden areas to store firearms safely so you can have protection no matter where you are in your home. Just remember, child safety is always a priority so consider where your kids play before deciding where to hide your guns. First, we will look at shelving. Just about every home has shelves for storage so it makes sense to turn that shelf by the back door into an armory. In this example, you see what looks like a regular shelf however the bottom of the shelf is actually a hidden drop down compartment great for keeping a firearm out of sight and in a handy place. 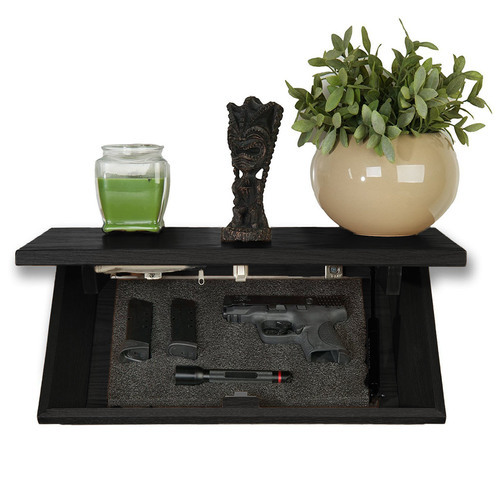 Furniture provides another way to safely store weaponry in a convenient place. 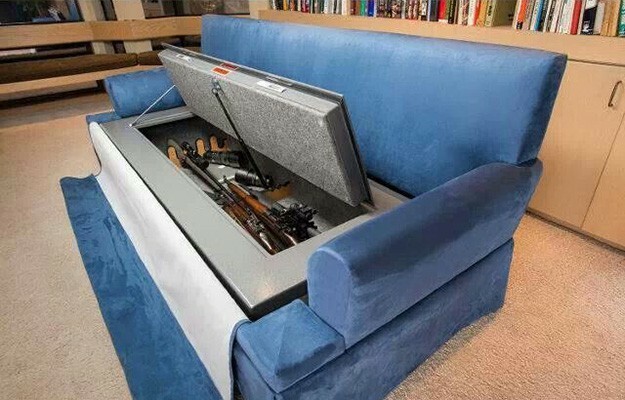 Your average ottoman often contains storage space already so it’s a no-brainer to alter the storage space to fit your preferred home protection firearms. You see in this example we have an ottoman footrest you would find in your living room. The top of the ottoman opens up to reveal a hidden gun safe. This gun safe is especially easy for anyone to create because most likely you will just need to make minor alterations to the storage space already found in your ottoman. That couch you bought with your ottoman doesn’t want to eat your change, it wants to store your weapons! 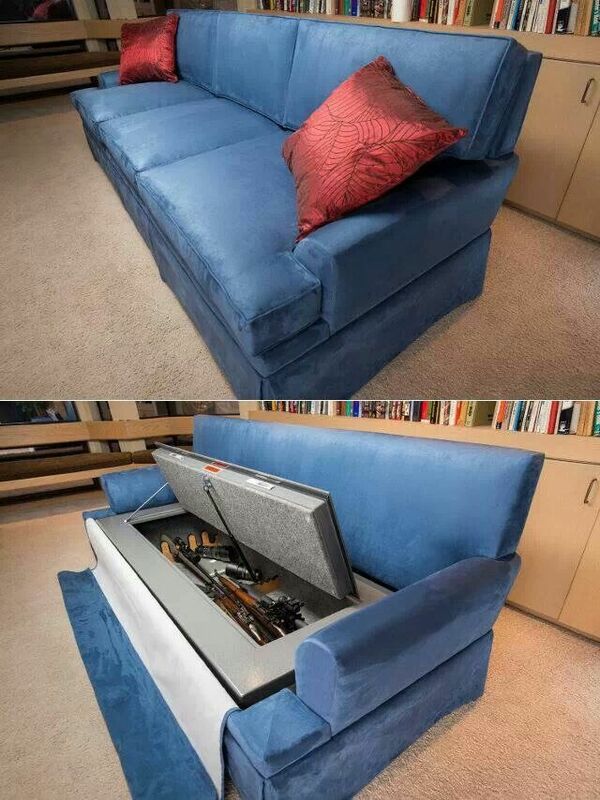 Couches can be easily turned into gun storage areas by fitting a gun safe under the cushions. 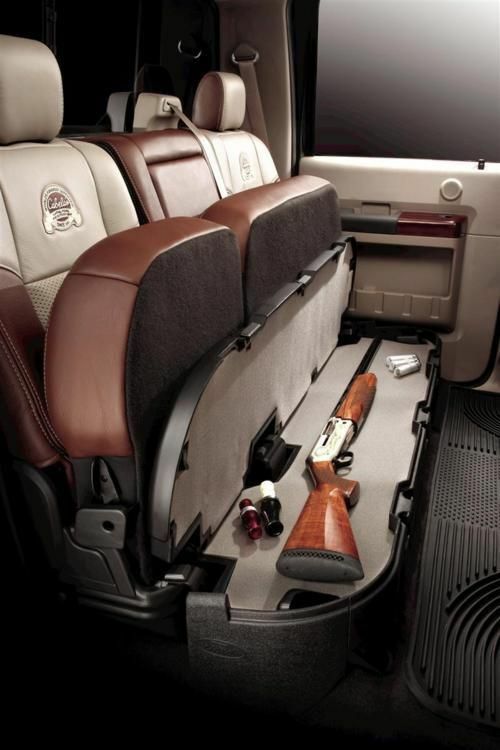 For larger weapons like shotguns or rifles, a couch is a great option for gun storage. In this example, you see a pretty large gun safe couch but remember this article is meant to give you ideas. 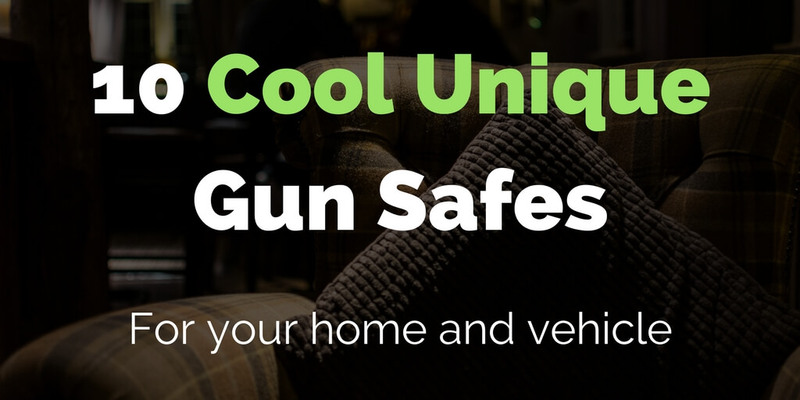 A couch can be a great place to store a single pistol if that is what you are working with. Do you think driving a truck makes you feel safer? It should. 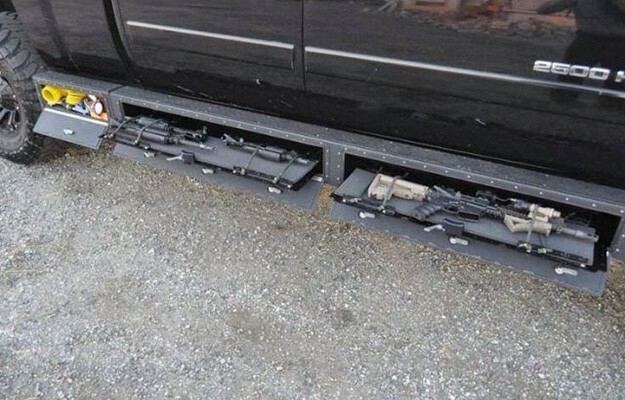 Turn it up a notch and throw some side access gun storage racks on your truck steps to militarize that bad boy. These folks even have used a utility space to store an air compressor for on the fly gun cleaning. Genius! Don’t stop there! Your car seats can fold up to hidden weaponry as well. Most car seats, whether it’s a bench or bucket seat, have ample space to store your favorite side arm. Ever have to sleep on a hard decision? You may need to sleep on this one but it’s a great idea. 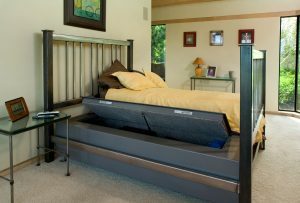 Putting a gun safe under the mattress doesn’t have to be as elaborate as this example but it sure will be handy when you hear a bump in the night or you don’t have storage space for a gun safe. This one is a classic American choice, the hidden stair step. 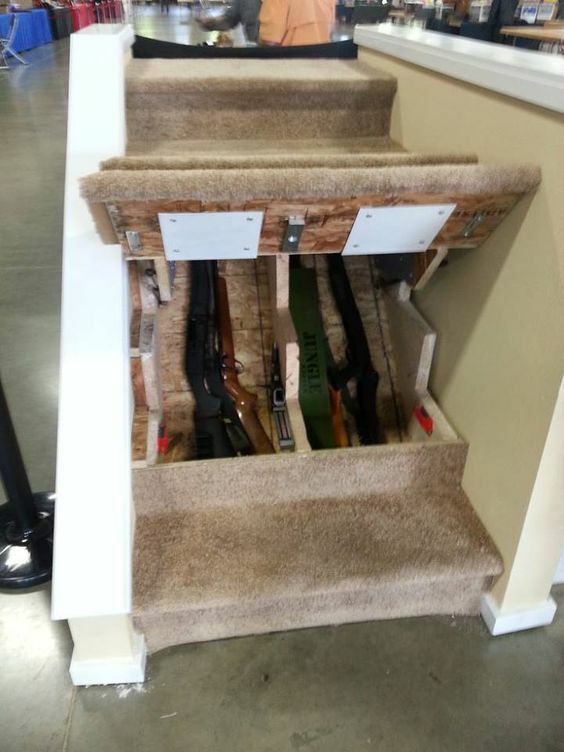 One of the easiest and most fun do it yourself gun safes requires only a set of stairs. Make one, heck, make two or three stairs open up to storage centralized in your home, a perfect choice for weapons, ammo, gold, or whatever you find valuable. For the more fancy patriot, a book spine gun safe is just for you. The great thing about this gun safe is you can easily adjust the storage capacity by adjusting how many book spines you are using. Just want to hide a pistol? Hollow out your favorite edition of whatever so you can easily get to Chapter 1 of “get out of my house”. Don’t even read? Perfect! 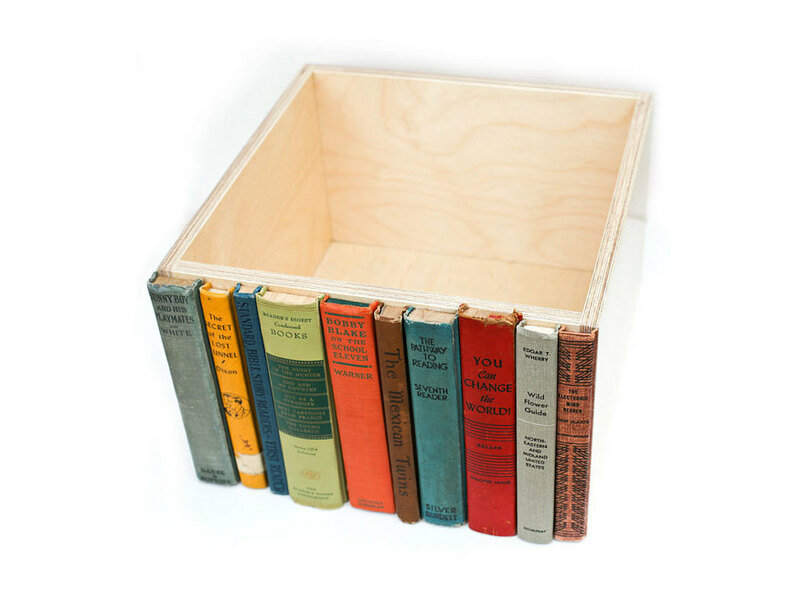 Get the whole bookshelf turned into a gun safe to store some pump action America. This one should be a staple of every patriot’s home. We call it Old Glory, the flag box gun safe perfectly fits most pistols AND the Red White and Blue. This is not only a great way to secretly store a gun but it provides the unique benefit of being able to be placed just about anywhere in your home. Just remember to fly it proudly! The secret clock gun safe is another fantastic option because you can put it just about anywhere in the house. With ease, this nifty safe both tells time and opens up to ample space for your favorite side arm. You know what they say, a pistol hidden safely keeps the burglar away…or something like that!